“A Perfect Solution”: The Great Salt Lake! The Great Salt Lake receives water and minerals from the Uinta, Wasatch, Sawtooth Mountains, the entire Great Basin area, and has no outlet. As the water evaporates, it leaves the minerals behind. The lake is between six to ten times more concentrated than seawater. Ionique’s® minerals are harvested on the pristine extreme northern tip of the Great Salt Lake. Ionique® Concentrated Mineral Drops (CMD)™ is made using an all-natural solar evaporation and precipitation process, which concentrates the minerals and removes 99% of the sodium. The Andersons and their employees put a lot of love and care over a two-year period while making CMD™ at the NorthShore™ harvesting ponds. Ionique® brings you results-oriented products, marketed through an innovative and awesome income-generating opportunity, thus providing solutions for health, wealth, success, and life. 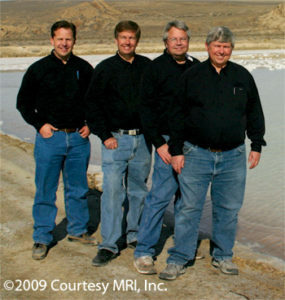 Ionique®, a division of Mineral Resources International, Inc., was launched in 2008 by the Anderson Family, well known in the natural products industry. Ionique’s headquarters are located just miles away from the Great Salt Lake, Ionique’s main source for its quality dietary supplement products. A breakthrough in mineral nutrition occurred in 1968! Ionique’s® story dates back to 1968 when Hartley and Gaye Anderson discovered several articles written by syndicated columnist George W. Crane, MD. Dr. Crane stated that sea water was a great source of essential minerals and trace elements. Supplementing the diet with these minerals could provide individuals with the minerals and trace minerals essential to health and well-being. Over the past 40 years, the Andersons have invested their time, dedication, love, and support to harvesting, manufacturing, and marketing superb mineral supplements. Dr. Crane wrote about how many health concerns are related to deficiencies in minerals and trace elements. He wrote that if people would supplement with a little seawater each day, it could make a big difference in health. After extensive research Hartley and Gaye recognized very powerful additional concepts: 1) We have an epidemic of mineral deficiencies. 2) The nutrition in foods has declined dramatically over the last forty years. 3) The Great Salt Lake provides an ideal solution.